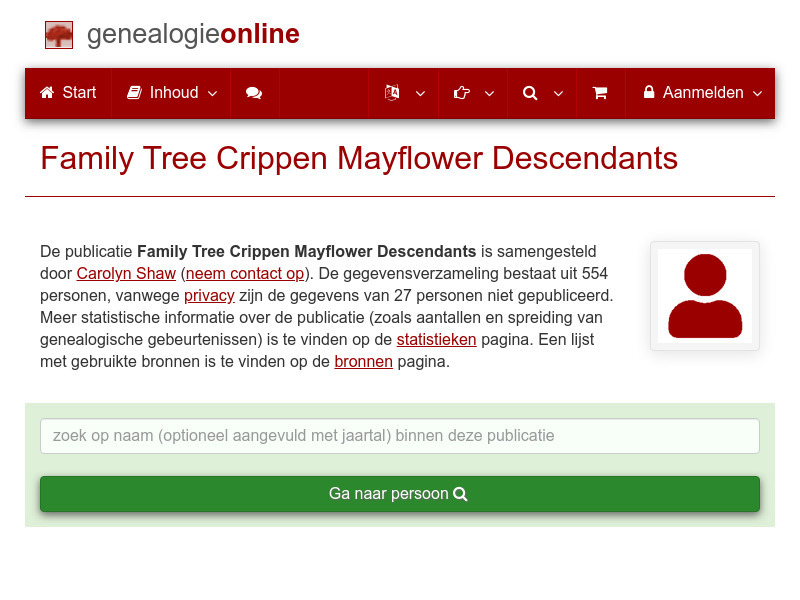 Een genealogische publicatie door Toon Colen met gegevens over onder andere de families Colen, Debie, Pieters, Coolen, Koolen, Tilmans, Snijckers, Leyen en Nevels. A genealogical publication by Heiko Closhen with information about, among others, the families Closhen, Wolfarth, Molter, Schneider, Koschnike, Simon, Werner, Trieba and Weinsheimer. 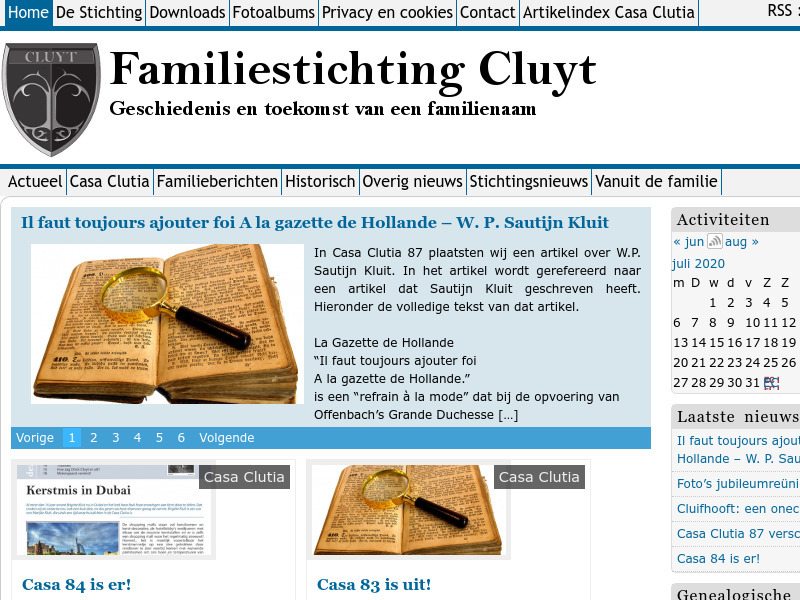 De familiestichting Cluyt is een 'naamstichting' en doet genealogisch onderzoek naar alle voorouders met de naam Kluit, in welke schrijfvariant dan ook. 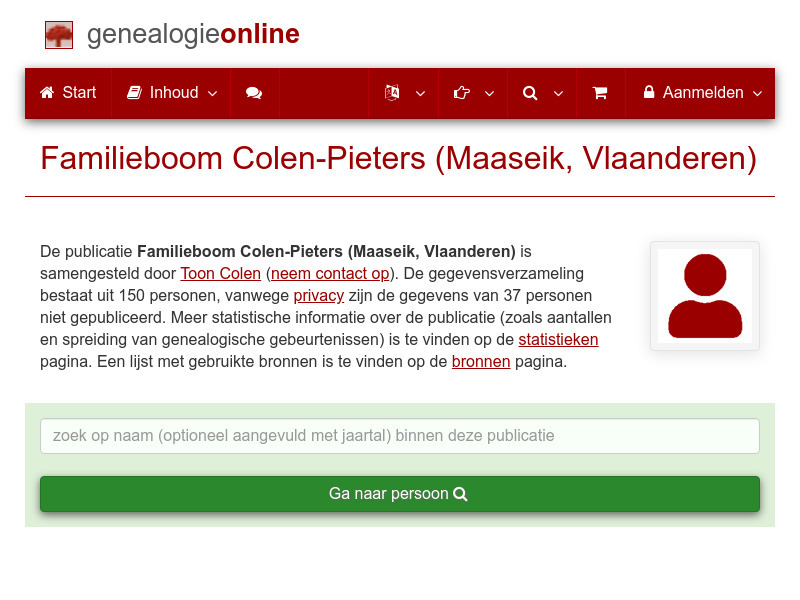 Alle familietakken Van Coillie, Van Caillie, enz. 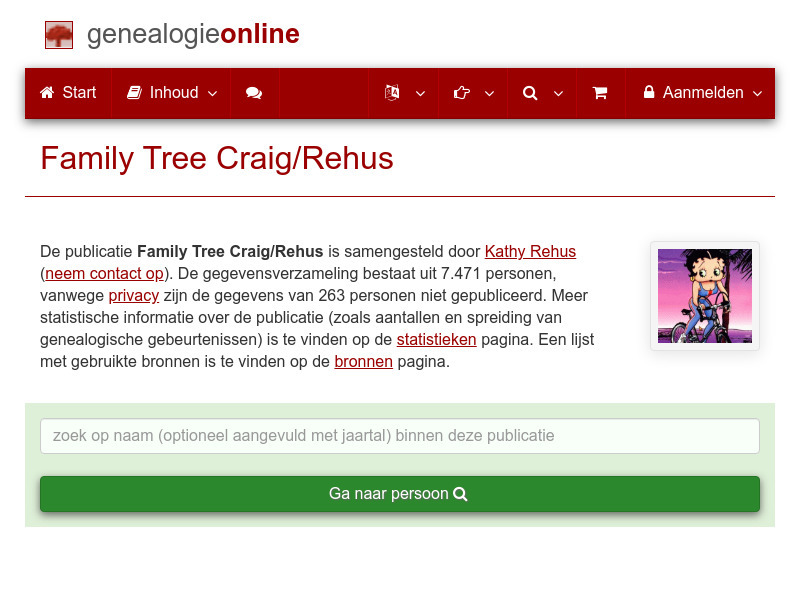 samengevoegd tot één stamboom; tevens geschiedenis & documenten. A genealogical publication by Alessio Cassinelli Lavezzo with information about, among others, the families Cassinelli, Stabile, Agudelo, Von Schledorn, Mitchell, Lavezzo, Lavezzo Cassinelli, Bruno and Grimaudo. A genealogical publication by Roland Cheramie with information about, among others, the families Pitre, Bourg, Bourgeois, Landry, Hebert, Leblanc, Dugas, Richard and Cheramie. 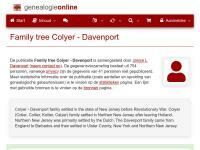 A genealogical publication by Janice L Davenport with information about, among others, the families Davenport, Colyer, Gould, Barber, Freeland, Schofield, Valentine, Speer and Dittloff. 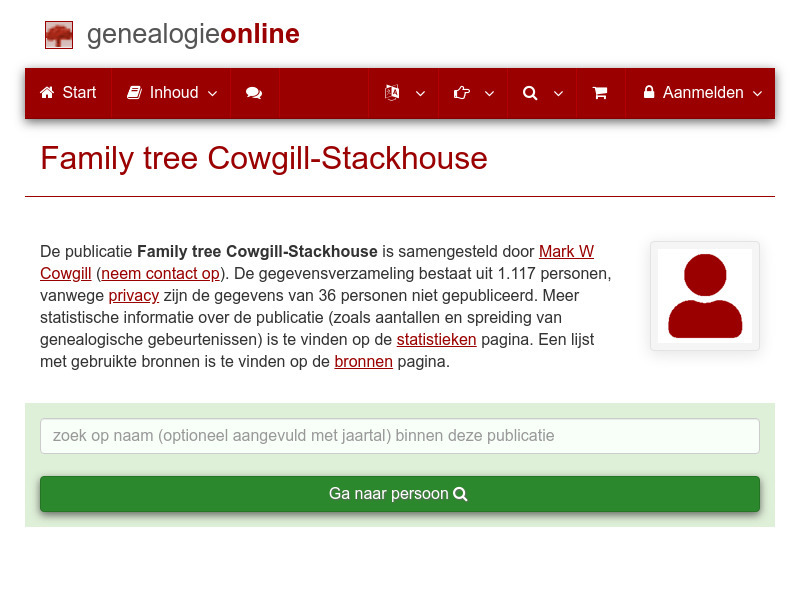 A genealogical publication by Mark W Cowgill with information about, among others, the families Cowgill, Stackhouse, Cork, Manifold, Plantagenet, Harrison, Smith, Lane and Reed. A genealogical publication by Kathy Rehus with information about, among others, the families Duncan, James, Carver, Dunham, Riley, Plantagenet, Fitzrandolph, Coffin and Hess. A genealogical publication by Carolyn Shaw with information about, among others, the families Meeks, Crippen, Gowdy, Pafford, Shaw, Hight, Fuller, Champion and Stokes.